This time around we’ve got the Paradise Papers, a new bout of leaks which reveal the names of (very) rich people and (very) rich companies around the world using offshore businesses to squirrel away money in tax havens. A lot of what’s going on could be completely legal, and a lot of the people named didn’t even know their money was there (e.g. Bono, and the Queen). But that doesn’t necessarily mean people are okay with it. 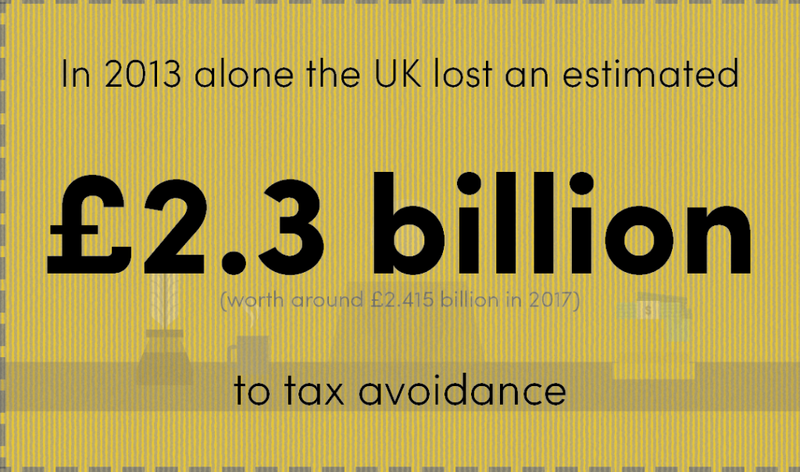 A 2013 YouGov poll found that most people in the UK think legal tax avoidance is just as wrong as illegal tax evasion. What's all this about paradise? Two weeks after the revelations, the UK parliament called an emergency two hour debate on the Paradise Papers, in which they all pretty much agreed that something had to be done. If it’s legal, why do we care so much? The interesting thing about this story is that it’s being treated as a scandal, but if you’re just going by the book, a lot of these people aren't doing anything wrong. The question is whether we think the law is right – which is a question of what we think is fair, and how far we think we should go to incentivise people to do business in our countries. not paying their dues What's this? But not everyone agrees with this argument. Diego Zuluaga, an economist from the Institute of Economic Affairs (IEA), thinks it’s a pretty simplistic view of how things work. A lot of the tax that’s being avoided is what’s called ‘double taxation’ – which happens when you set up a business abroad, but also have to pay tax at home. Plus, he says, if we didn’t have the legal loopholes that allow people to avoid paying tax at home, a lot of them wouldn’t bother investing, because it wouldn’t be profitable enough – which means it wouldn’t just be governments losing out, it’d be everyone benefiting from the business. In other words, avoiding tax incentivises people to do stuff they wouldn’t necessarily do: buy something, invest in something, start a business. If they don’t do those things, they don’t owe the tax in the first place, and the government can’t lose something it never had. For some people, this isn’t just a story about tax laws. It’s a story that makes a much wider point about how unequal things are. A report published days after the Paradise Papers found that the richest 1 per cent of people own more than half the world’s wealth. I wasn’t surprised by the Paradise Papers. It’s not surprising information... but people are really sick of this stuff. In my last job I worked 100 hours a week and paid 40 per cent tax. If I did an extra shift I lost 60 per cent of it instantly because of National Insurance. I pay my student loan. I live in a supported property which I’ve only been able to buy because I’m a key worker in London. I’m in my 30s I live in a 40 square metre flat. If I decide I want to have a kid I’m not going to be able to live where I work. Nurses I work with are at the top of their game but aren’t being paid enough to live. People will always avoid paying tax because they’ve avoided paying taxes forever. But it feels like the mindset is changing, and people won’t accept it any more. You can’t squirrel away billions of pounds and not expect to pay any tax on it. Maybe there does have to be some give and take in these things but at the moment the ratio just seems very off. In other words, while the rest of us struggle to do basic stuff like pay rent and buy food, the fact that there are people in the world that are rich enough to spend money on private jets and shopping malls in Lithuania and make even more money in the process is more than just annoying and unfair – according to Katy, it’s making things worse. 'free trade' loving What's this? Institute of Economic Affairs, disagrees (funnily enough). He says that if we're talking about inequality, what we should talk about is low wages: “It’s one of the big factors in increasing the cost of living - their disposable income is successively being eroded. We should be focusing on the fact that people’s incomes aren’t going up.” And the thing that makes wages go up, Zuluaga argues, is business and investment. The way to encourage business and investment, is lower taxes. Do you know where your pension was last night? The thing is, it’s not like those of who aren't part of the 1 per cent aren't remotely linked to tax havens. 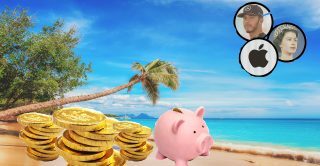 In fact, there’s so much secrecy and confusion surrounding the amount of money stored around the world, and who’s it actually is, that it’s pretty likely that you, or your mum, or your boss could have money offshore without even knowing it. Pensions are a pretty good example: when you or your employer pays money into your pension, it gets invested into a fund. Pension funds will then be invested elsewhere, to try and increase the amount of money in it. Sometimes that elsewhere might be “offshore”. 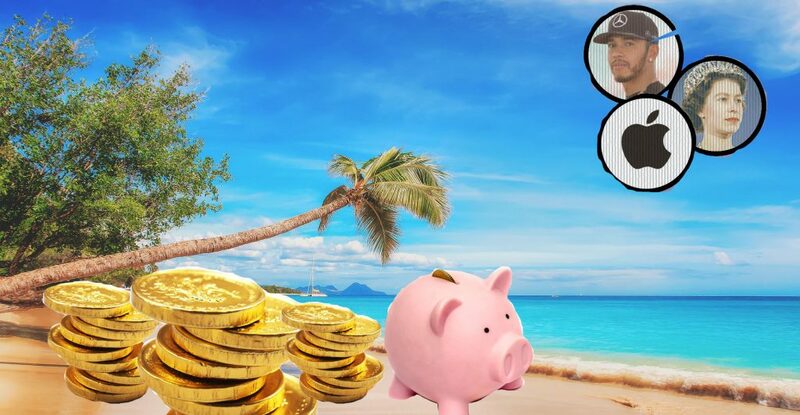 Caroline Escott, who works for the Pension and Lifetime Savings Association (which represents pension funds), said that pension funds are trying to find new ways of making money in “the current difficult financial and low-interest rate environment”. I find nothing really surprises me about this anymore. This is established practice, and it’s unfair, open only to those that are already in a position of privilege. I know that I've always paid my taxes. I work hard in my business to source work from makers and manufacturers in the U.K. and pay them an actual living wage for the work they do. Then at the same time you have people and companies with vast sums of money who could use it to better the resources, jobs and industries available to people at a time of serious economic change and instability. And they don’t. When big businesses operate in the U.K. they bring in a lot of positives with them, but that's not to say that I believe they shouldn't also be paying into the public purse just as individuals and smaller businesses are required to. When pension funds invest in low-tax areas, like tax havens, it’s normally for a variety of (pretty innocent) reasons, Escott says – like letting people from lots of different places invest in the fund easily, for example. In other words, she says, so long as it’s all above board, and everyone knows what’s going on, low tax jurisdictions could have benefits for us all. 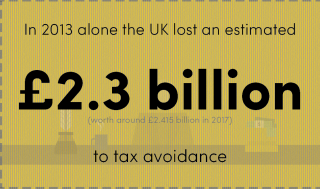 How much tax avoidance is too much tax avoidance? 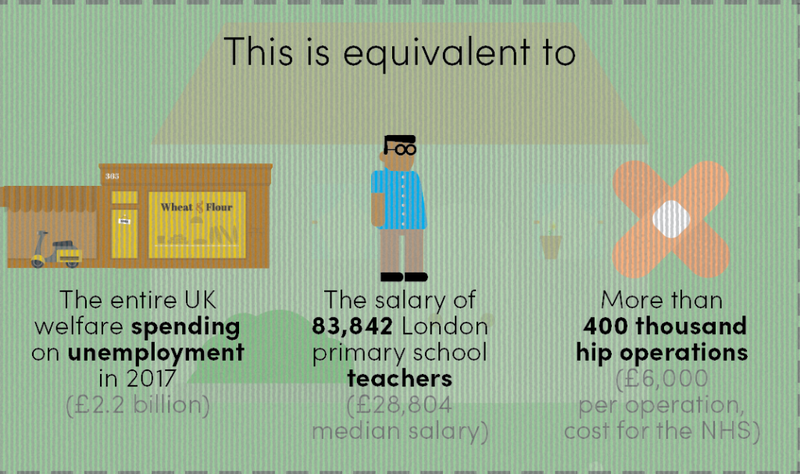 And what about the fact that we’re being constantly offered tax breaks as a way to incentivise us to do things? Take saving money. If you do what the government tells you to do, and get an ISA, does that mean you’re also avoiding tax? Jon Date, an advocacy advisor at Action Aid, which campaigns heavily against tax avoidance, thinks it’s not. “It’s reducing the amount of tax you owe, but it’s a deliberate policy by the government to incentivise people to save. The difference between when tax avoidance is okay, and when it isn’t, Date argues, is whether people are sticking to the "spirit" of the law. 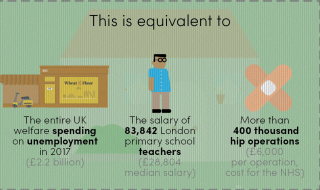 So yes, saving money on your ISA is okay. Getting an accountant to make sure you’re not paying too much money is okay. The answer, he says, is transparency. It needs to be easier to keep a closer eye on what companies are registered where, and to whom, on who exactly is buying shopping malls in Lithuania, and how much tax they’re actually paying.